2-Way, 3-Speaker System (Center Speaker) The center speaker has two 3-1/4” cone woofers and 1/2” balanced dome tweeter for distinct dialogue and clear vocals. 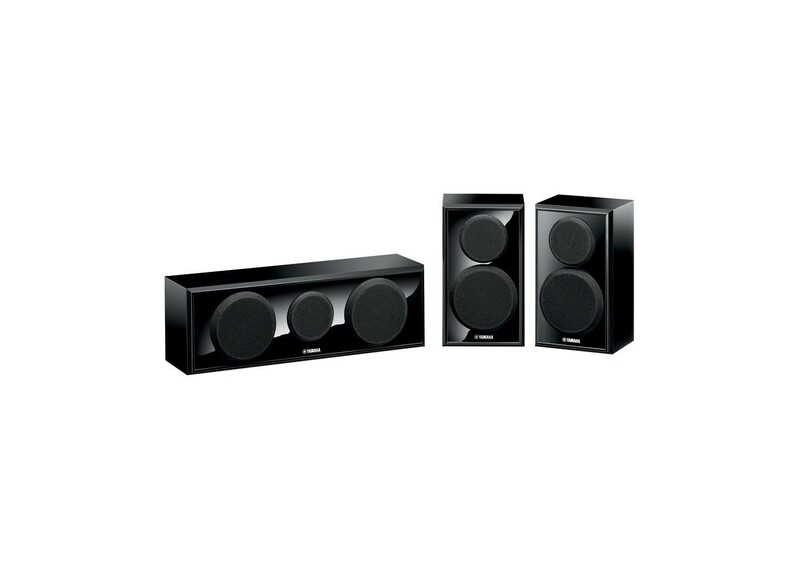 Excellent Reproduction of HD Sources The NS-P150 speaker set is designed to provide outstanding reproduction of HD movie and music sources. Using it together with the NS-F150 floorstanding speakers ensures that you will enjoy accurate, well-balanced sound, for an affordable yet high quality home theater system. Large-Size, Gold-Plated Screw Terminals The extra-large, screw-type terminals are gold-plated to ensure maximum signal transmission efficiency. They are capable of handling HD audio signals with no loss of sound quality. Wall Mountable The center and surround speakers have keyholes on the back so they can be quickly and securely wall mounted.